Are you on the move to a new area and searching for a reliable removal company? Moving Service is experienced and reliable and will do an excellent job when relocating to Bayswater, W2. Relocating to another area is hectic and needs to be planned in advance. Don’t hesitate to call us for a free quote. In addition we are happy to visit your house and assess the situation and supply a more accurate quote for your satisfaction. We are the experts when on the move so you can rely on our team to do a competent job. You can rely on us to arrange a well organised move that you will be happy with. We cover a selection of services including supplying packing materials, helping with the packing and unpacking as well as removing the rubbish. You can trust our employees to do a meticulous job at a cost that won’t break the bank. We provide a wide range of other services to help when on the move such as furniture, office and overseas removals so we know what we are doing with all types of moving services. Put your confidence in us when moving to Bayswater area and call us now on 020 8746 4402. It is an area in West London and a part of the city of Westminster, the Royal Borough of Kensington and Chelsea. It is a built up area that is situated 3 miles west North West of Charing Cross station and borders to the north the famous Hyde Park. The postcode district is W2. It is a sophisticated area and has a diverse population amplified by the huge number of hotels in the area. This area has large communities of other cultures including English, Arabs, Greeks, American and Brazilian. The area has nice looking streets and pretty garden squares with stunning Victorian terraces which are now mainly flats and guest houses. Property in the area is expensive like much of central London. 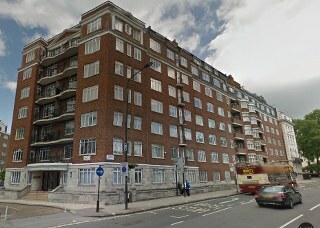 There is a combination of modern developments, purpose built war time apartment blocks, council estate and new estates. The area has two busy main streets, Queensway and Westbourne Grove and both have lots of ethnic-cuisine restaurants. The area is one of London’s nicest areas and is rich in historical buildings and sites to explore. It has great shops, bars, trendy clubs, and restaurants. There are plenty of hotels to choose between. Many celebrities live in this area and can be spotted walking on the streets. Moving Service is the best when it comes to a highly trusted removals company in Bayswater, W2. If you are on the move to Bayswater, then give us a call. We can do all or just part of the move. Our workers are skilled and thorough. We know that there is a lot to arrange and to save you time we can do almost all of your relocation. Make certain you call and reserve your date is you have deadlines to meet. 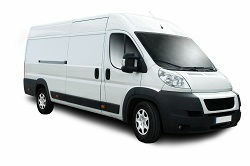 Our services range to suit you and we can supply smaller removal Lorries, along with our reliable man and van service. We also provide removal van hire if you want the independence to do your own move. Our rates are affordable and will appeal to all. Give us a call and discuss your needs now with our helpful customer services on 020 8746 4402. Don’t forget when you are hiring our removals services to consider the parking of the vehicle. Get more details about parking permits in Bayswater by going to the local council’s website. Dependable and last minute man and van service. Took my stuff to Bayswater no problem.